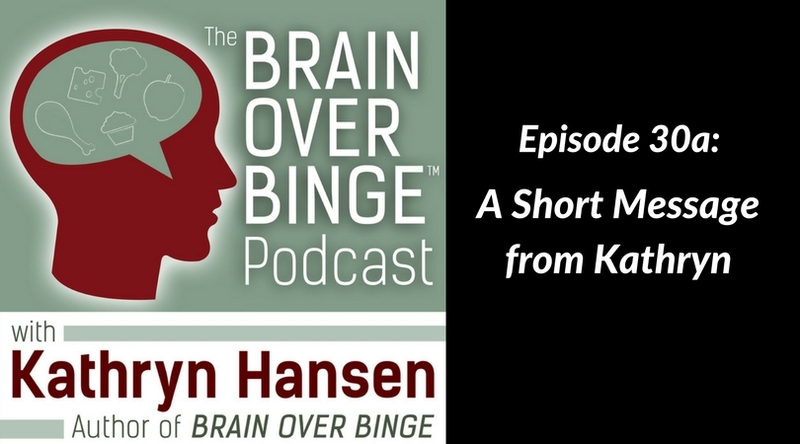 I wanted to take a moment before today’s podcast episode (Episode 31) to let you know that I will sometimes have guests on the show to talk about eating and health more broadly, or to address issues that go beyond binge eating. I want you to understand the purpose of this, and I also want you to realize that not everything you hear will apply to you. I want to give you many viable and healthy options, and then empower you to choose what information you will use as you follow your own unique path to recovery.